New for 2019, the TITAN All-Terrain Cross Country Championship Presented by HCR will give UTV competitors, both Pro and amatuer, a platform to show off their skills and compete in seven unique races in correspondence with Ultra4 Racing and the Southern Rock Racing Series. This is a new Eastern series for UTV competitors only. Please see the "Racer" tab for racing structure and registration information! The TITAN All-Terrain Cross Country Championship Series Presented by HCR offers a unique 7-race platform for our biggest racing class -- the UTV Class. 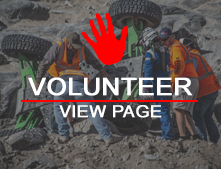 These seven 2-hour endurance races will be run in correspondence with three of Ultra4 Racing's existing scheduled races/events and four National Rock Racing Association/Southern Rock Racing Series races/events. **Races run in correspondence with Ultra4 Racing events will be $255 online for registration with existing payouts for the UTV Class. Races run in correspondence with SRRS events will be $150 for registration online for the 4x4 (non-Pro) Class, which is a Trophy Only Class, and $250 for registration online for the Pro Class, which is a pay-out class for the Top 3. Each race is a 2-hour endurance race with a random draw done for starting order at each race. On-site registration is an additional $100 for each class. **In order to compete in the TITAN All-Terrain Series, or any given race with us, drivers and co-drivers will need to acquire their USAC License. This can be done at Ultra4License.com. This is in addition to any registration costs. If you've already purchased your 2019 USAC hard-card, you are good to go. Pit crew members will need to purchase pit bands on-site, which covers the USAC insurance one will need to work on/be around a live race vehicle during the 2-hour race in the hot pit areas. In order to register, you must sign into your racer profile. Log in up in the top, righthand corner. If you do not already have a racer profile with us, please create one. Registration will not work unless you are signed in. All seven TITAN All-Terrain Cross Country Championship Series races will offer unique spectating opportunities. From the hills of Tennessee to the dense woods of Kentucky, you won't want to miss the opportunity to see some of the sport's top UTV drivers in action taking on all kinds of terrain in their quest to be crowned a TITAN All- Terrain Cross Country Champion!